As I’m procrastinating and haven’t got round to writing a review of what running in Cuba was like, I thought I could talk about a few recent races, a work trip to Greece (which wasn’t quite long or exciting enough to qualify as an official ’80 run’!) and how training is going. Because, you know, I’m sure you’ve got nothing better to read. So, training is … ramping up. Since I begrudgingly accepted to join Strava again, my competitive streak means that I’m upping my weekly mileage (or kilometrage if such a word existed in English) in order to keep my street cred up. That, and an awareness that it’s obviously good for me to train as hard as normal work/life allows me to. It felt like a moderate success when I finally got over 100km in one week until I realised that all the faster runners are knocking off 100 MILES/week which is just a stupid amount and one which I’d struggle to ever fit around my other commitments. Like sleep. Nevertheless, it’s a good 50% more than this time last year so … let’s see if this ends up helping at all. 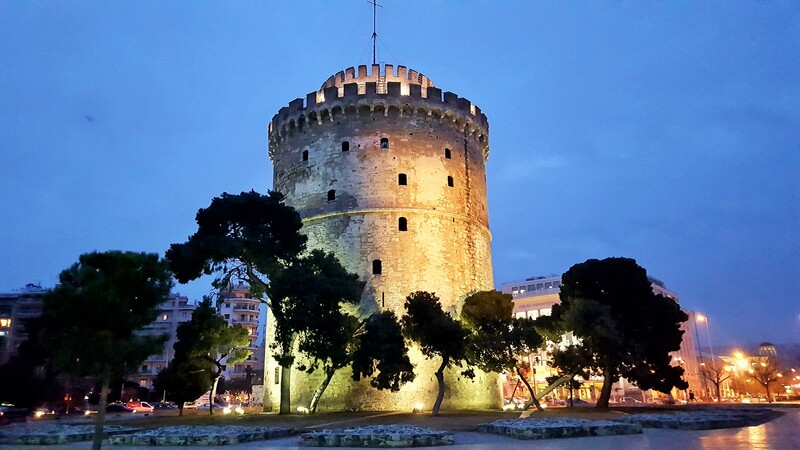 Anyway, rewinding the clock and to try to avoid being super boring reeling off running stats, let’s skip all the way over any cross-country related pain and speed up to a work trip to Thessaloniki in Greece in late January. I was initially looking forward to the trip and a Vitamin D boost until it became clear that January in Greece is flipping freezing. And snowy. And being there for work means that … you actually have to do work rather than fannying about visiting what was, let’s be honest, a not overwhelmingly exciting city at that time of the year. To be fair to it, it’s a monumentally important city from a historic perspective when it was at the cross roads between what we now call the Middle East and the West at a time when Europe wasn’t much more than peasants and feudal wars and ‘Greece’ was thriving. 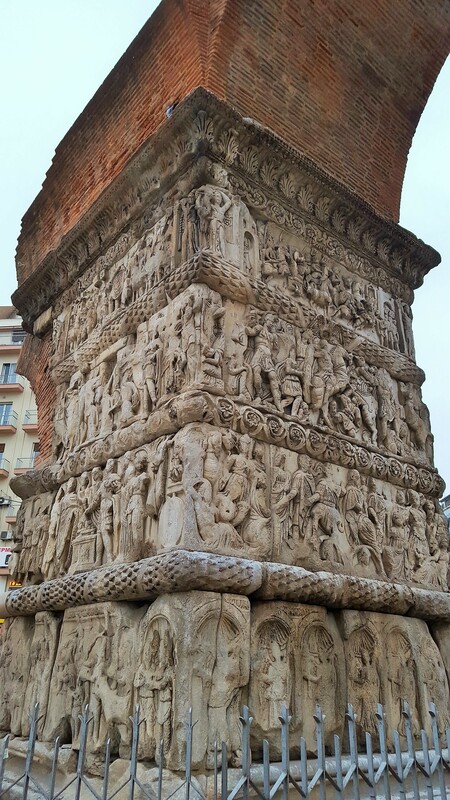 It was the second largest city during the Byzantine Empire and still has a spattering of Roman and Byzantine buildings all over. 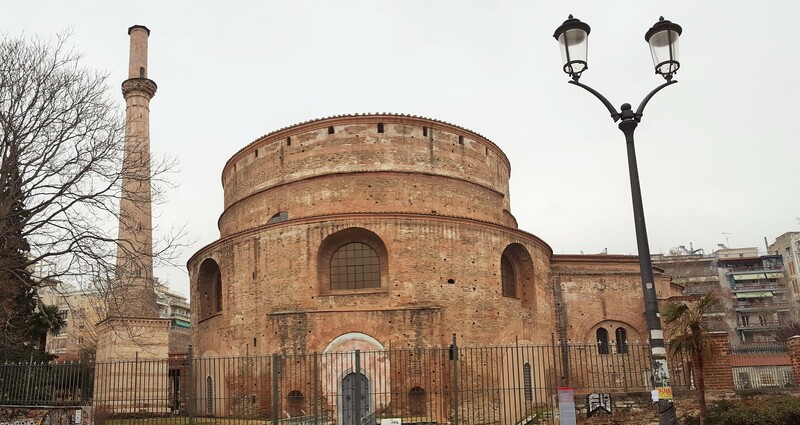 Some, such as the Arch and Rotunda of Galerius, are listed by UNESCO and would have been worth a little more investigation if I hadn’t squeezed my main run in shortly before our flight home. With my limited time, I still fancied seeing what there was to see so managed to get out early in the morning most days to run along the sea front along a wide, lovely, promenade which must be incredibly pleasant on a Spring evening (I’d say Summer evening but I’m pretty sure it’s regularly 40+ degrees so even a breeze wouldn’t help then). 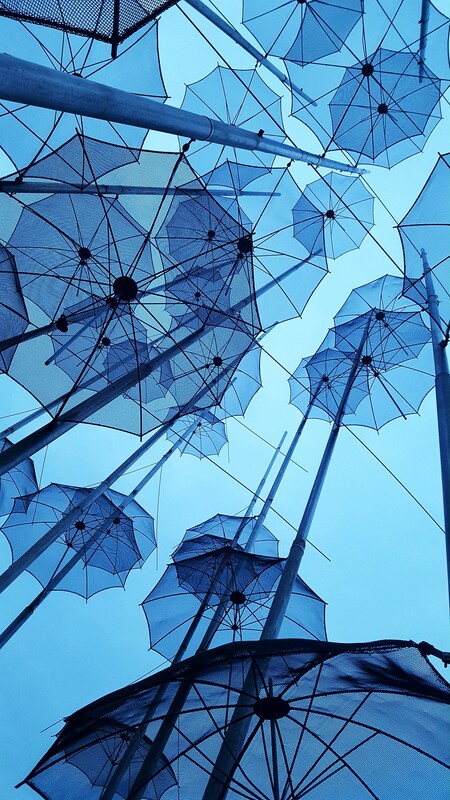 Every day, I ran past a slightly random sculpture of umbrellas and the White Tower (which used to be known as the Red Tower because of the regular mass slaughters inside it during the Ottoman rule until someone launched a ‘rebranding’ exercise in the 20th century and repainted it white). 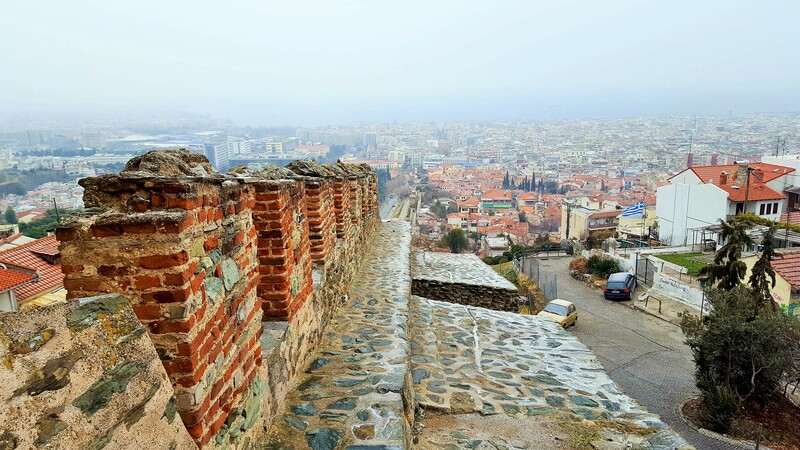 On my last day, I took a turn and went uphill up what’s left of the old fortified Walls of Thessaloniki which stood for the best part of 1,500 years. At the end of this, I reached a (slightly snowy!) castle from which there was a beautiful view of the city – or, at least, what I could see through the haze. So that was Greece. Shortly after, we were off to Cuba (more on that another day) which meant that, all in all, I hadn’t really raced properly since November. Which is a long time. 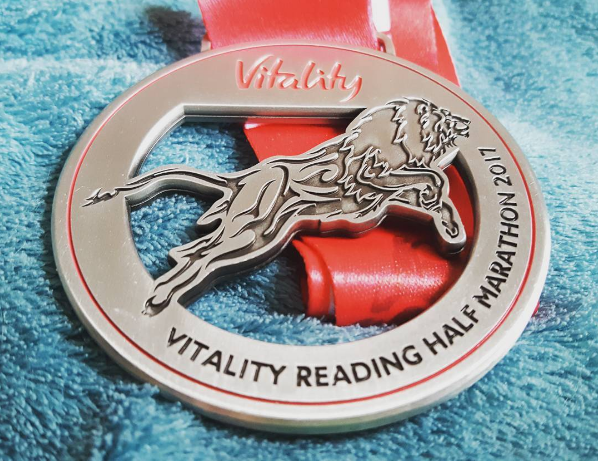 I’d signed up for Reading Half Marathon a few months back – it’s supposedly fast (it’s not) which I thought would make up for the unglamorous location (it was, indeed, dull) although I hadn’t banked for the weather (winddyyyyyy). Come last week, I knew there was no chance I’d be getting a PB and expected to probably finish in 1h24. In the end, I finished in 1h24… maybe next time I’ll set my mind higher! Today was another race – the South of England 12-leg relays – in another glamorous location: Gravesend. Maybe they should get that Greek rebranding expert over – the name is a fair description for the rest of the town. Strong wind and hills meant that my time mattered little – however, I was almost a minute slower this year than last year which is not really a great sign before Vienna Marathon in 4 weeks’ time.